A discarded ship container is recycled into a children’s library. “More like Body Round!” I wrote back jokingly. But this idea of coming full circle intrigued me. Calendar Round comes from the sexagenary cycle of the Chinese calendar dating back to 2000 B.C. This calendar has 10 Heavenly Stems and 12 Earthly Branches. Since 60 is the first number that both 10 and 12 can divide, the cycle is considered complete after sixty years. In the West, we also complete a minute after 60 seconds and an hour after 60 minutes. There is some comfort in coming full circle in one’s life and having a sense of completion. Before knowing about Calendar Round, I knew I wanted to celebrate this special decade in a different way. My idea was to have a party, but one that would allow me to give instead of receive. After all, I had arrived at this point in my life without ever having to endure war, famine or thirst. I had so many blessings, including all my body parts! 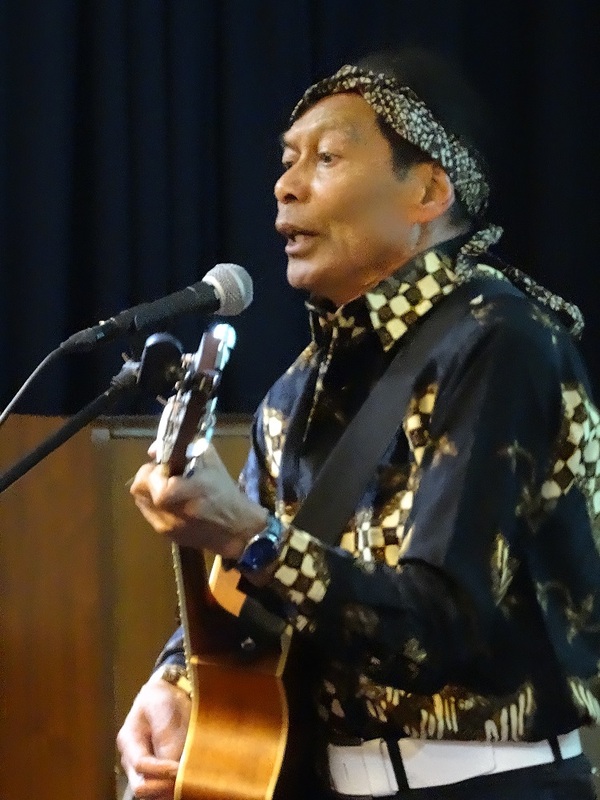 I started to imagine people from different countries coming together to create an evening of poetry and song. In psychosynthesis terms, this is the initial synthesis of consciousness and will and the use of one’s imagination to create a Will Project. What started as a hope, slowly grew into a magical evening. Last Thursday, in the Enschede Central Library, fifty people from all over the world came together to weave poetry, music, and art into a rich tapestry of human story and dignity. We gathered to celebrate my birthday, but more importantly to raise money for library books for children in South Africa. 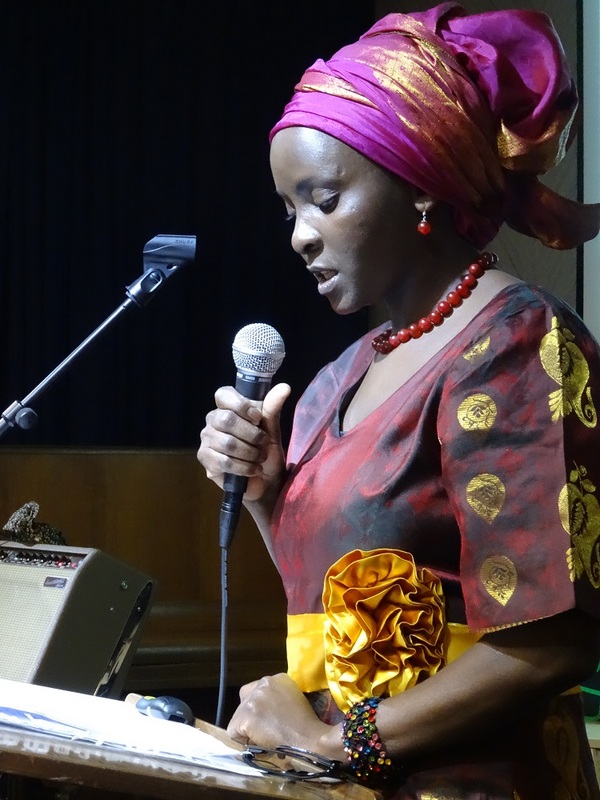 Odilia Wentzel (Kenya) reads her poem in Swahili and English. Breadline Africa is a South African based NGO that works with young disadvantaged children. They specialise in renovating disused shipping containers and recycling them for essential community purposes. 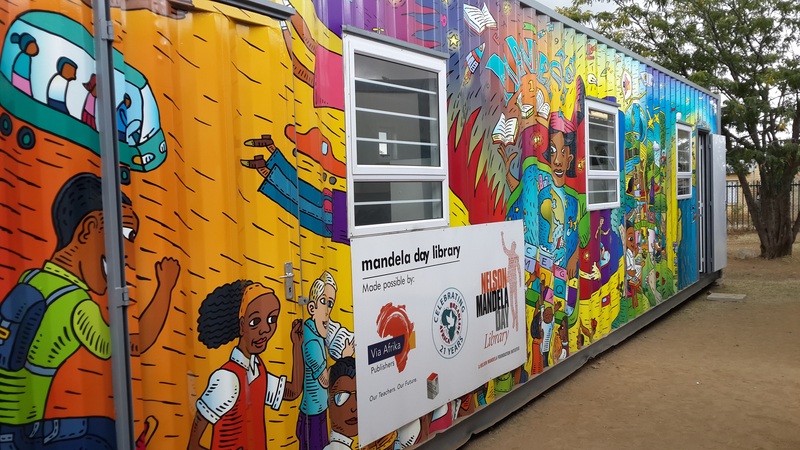 Renovated containers have been transformed into educare centres, libraries and media centres in schools, as well as community kitchens to serve food to the very poor, ablution blocks and sports club changing rooms. Since 1993, they have provided over 250 containers to poverty stricken communities. As a writer and avid reader, what better way to celebrate my life than helping the younger generation discover the world of books? And so my Will Project took shape and form. I named it “Books for Life” with the idea that the books would be a celebration of the children’s lives, my life, everyone’s hope for a better life. The journey to creating Books for Life was not always easy and required a good deal of energy and devotion. At one point I wondered why I was spending so much time running around trying to locate a venue, distributing flyers, and struggling with the frustration of creating fundraising and facebook pages. Why didn’t I just donate a bunch of money to Breadline Africa and be done with it? Then I realized that the event had a deeper purpose that I hadn’t anticipated. What I really was doing was creating, holding, and tenderly nourishing a space for people to connect and build intricate relationships – to each other, themselves, me, the children in South Africa, the local library, and perhaps ultimately to the limitless grace of the Higher Self or God. I was hearing from people I hadn’t heard from in years. Both friends and strangers were unexpectedly donating time, resources, and monies. People I never knew before were volunteering to participate. Without my asking, my friend Zekiya and her daughters offered to provide all the beautiful food. I had started out with the idea of giving, but suddenly I was receiving more than I could have imagined! Wouter Muller sings a heartfelt song about his native Indonesia. During the benefit event, I was especially touched by how incredibly authentic everyone was. We flew on a Persian carpet around the world, from South Africa to Chile, Iran to India, from Kenya to Indonesia, back again to Enschede, and then rode off to Tur Abin, Turkey only to land in the USA. We touched each other’s hearts in a meaningful way and inspired the best in each other. We laughed, danced, sang and ate delicious homemade cakes and baklava. We met each other, listened deeply, and smiled. Oh! 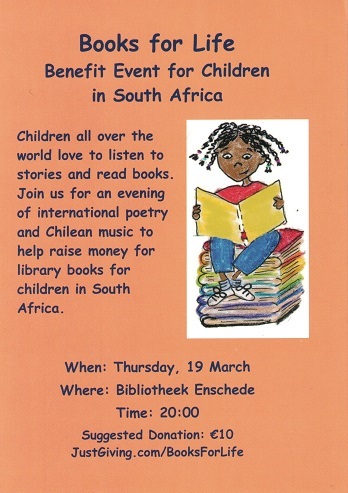 Not to forget… we also raised $800 for library books for the children of PJB Cona Primary School, South Africa. The Calendar is indeed Round. You can also join us. Donations are still being accepted at Books for Life. To read the poems and see more photos of the evening, please visit our facebook page. This entry was posted in Moving Towards Joy, Relationship, Spirituality, The Higher Self and tagged growing old, joy, psychology, psychosynthesis, relationship, spiritual, wisdom on March 23, 2015 by Catherine Ann Lombard. Wow Catherine! You bring out the best in people. What a gift you give again, after giving so much on your birthday. Merci dat je er bent! It was a special evening with authentic and moving stories and poems and inspiring people. It was such and inspiring evening and birthday gathering. I was so happy being part of it. So many happy years to you!! !